Invalid booking reference id or guest name! of fine living within your financial plan. 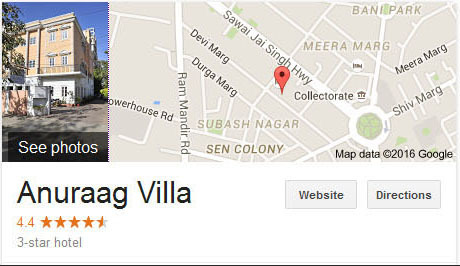 Hotel Anuraag Villa is situated in the heart of Jaipur. 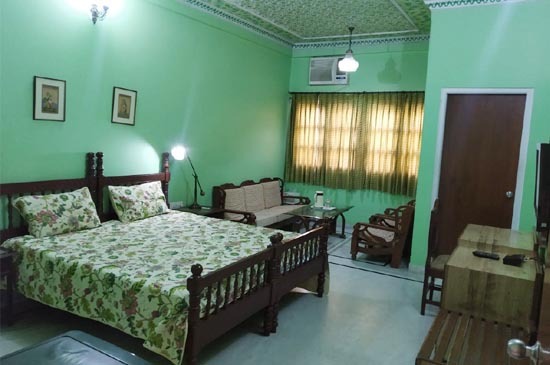 it is the ideal base for a break with your partner, as a family or with a group of friends. 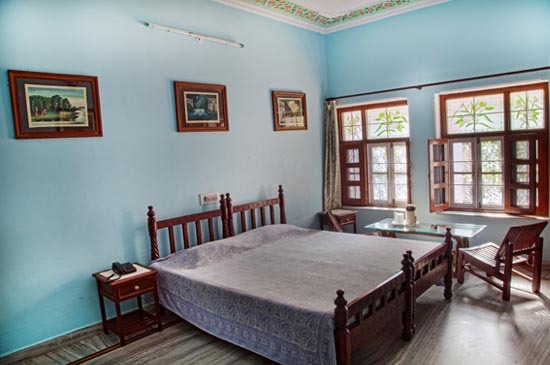 Its location just a stone's throw from City Bus Stand as well as Railway Station and a mere 5 Min drive from City Center means that you can enjoy quiet surroundings yet still visit all the attractions the Pink City has to offer. 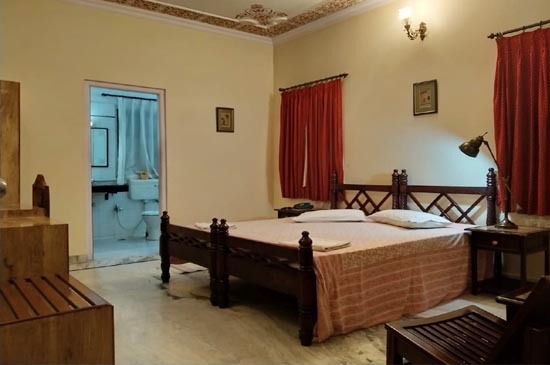 It is run by reputed family who has a tradition of hospitality flowing in its veins The Hotel owns some delicately furnished guest rooms of various types, with each and every facility and amenity displaying taste and elegance as well as meticulous care. 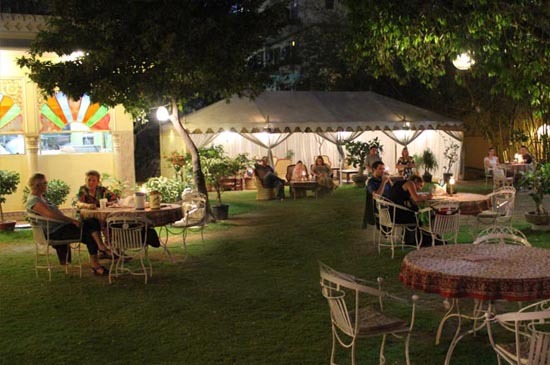 The Hotel takes care of the pleasant experience of your taste buds and gourmet food exploration. 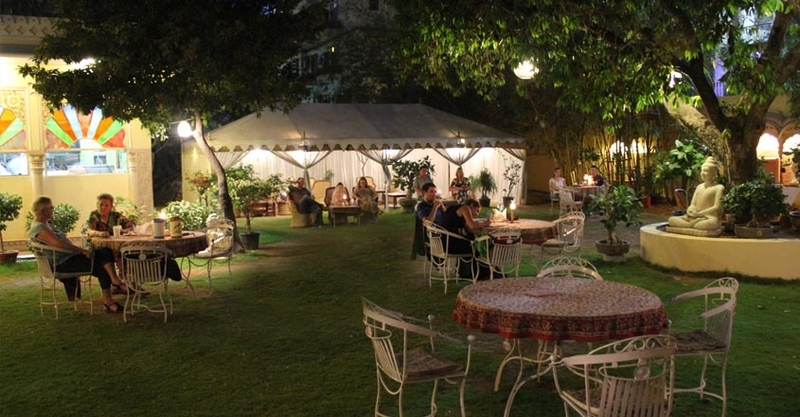 Its restaurant delivers cultural classics through the exquisite cuisine presentation; The chefs' creative efforts together with the meticulous service from the attendants bring you noble dining experience and the amalgamation of history and culture. Hotel's motto “Hallmark of Hospitality” expresses the desire of the Concierge to make leisure, business and conference guests feel like at home in what may initially be an unfamiliar city environment by taking care of them. Our staff takes great pride in offering an exceptional guest experience and being recognized with the TripAdvisor Certificate of Excellence for outstanding traveler reviews.